We realized our webinar for July 12th was scheduled during the same time as another very important webinar being presented by UUA and UUSJ. 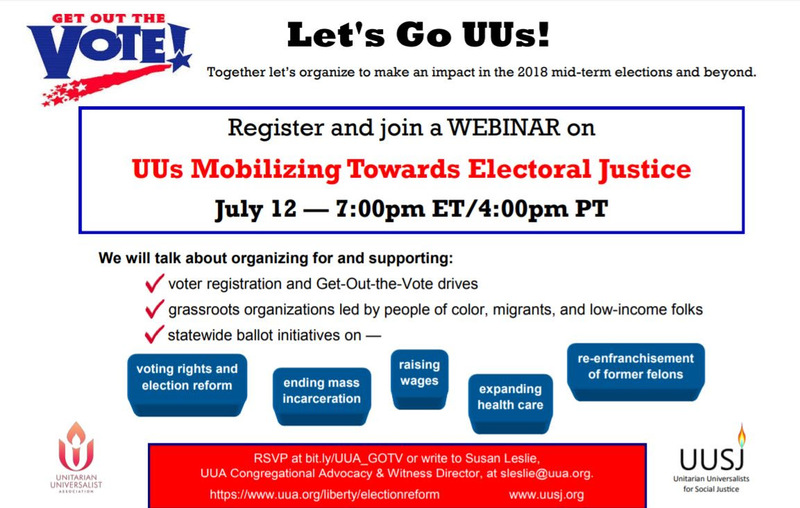 In the spirit of solidarity, and given our long-standing partnership with UUSJ, we are moving our GA Debrief webinar to Thursday July 19th. The details for each webinar is outlined below. Please consider joining them both. This webinar is offered by the UUA and UUSJ. Together let’s organize to make an impact in the 2018 mid-term elections and beyond! We will talk about organizing for and supporting voter registration, Get-Out-the-Vote drives and candidates’ forums and much more. There will be ample time for sharing ideas about what works for congregational engagement, including electoral justice ballot initiatives, partnering with local grassroots groups and UUA and UUSJ resources. For more information and to RSVP visit the UUSJ web page here. 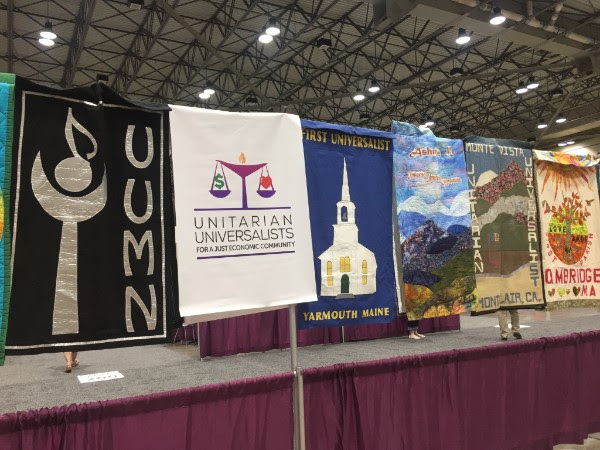 Join UUJEC members and friends to share highlights and inspirations from General Assembly. New changes to social witness process, our Annual Meeting, Networking Session, Table Talk, new AsIW passed, and the 4 questions to bring home will be discussed. Connect with other justice-seekers for our collective work ahead. Plus: Meet our new Administrator Christopher Sims, learn how you can join our working groups and become more involved.